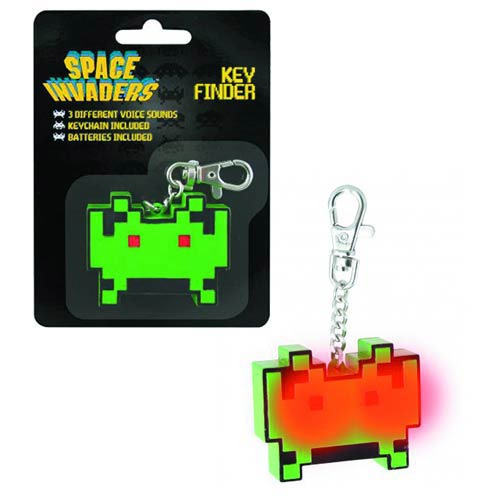 Never lose your keys again with the help of the Space Invaders game! This Space Invaders Key Finder is awesome. Not only is it shaped like one of the Space Invaders aliens from the game, but it'll also help you find your keys when they're lost! Ages 3 and up.